The persistence of high values in acf plot probably represent a long term positive trend. The question is if this represent seasonal variation? 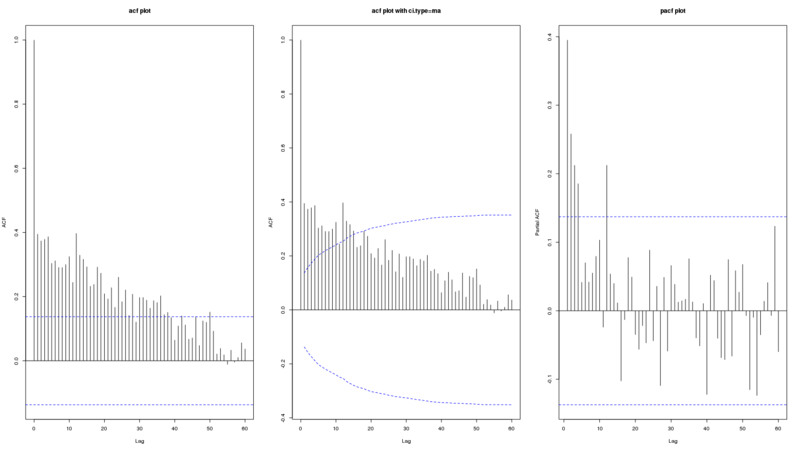 I tried to see different sites on this topic but I am not sure if these plots show seasonality. 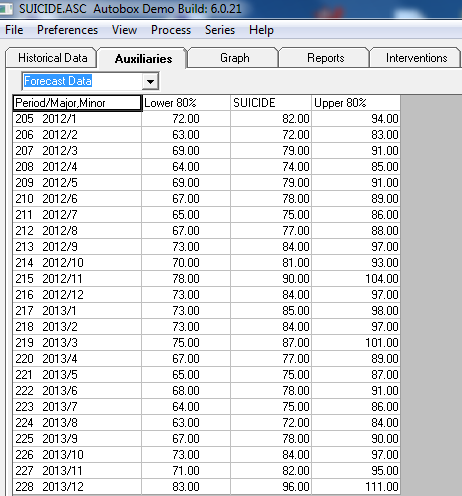 Edit: This data is from: Is this an appropriate method to test for seasonal effects in suicide count data? Here the contributors did not consider acf and pacf plot of original or differenced series worth mentioning (so it must not be important). 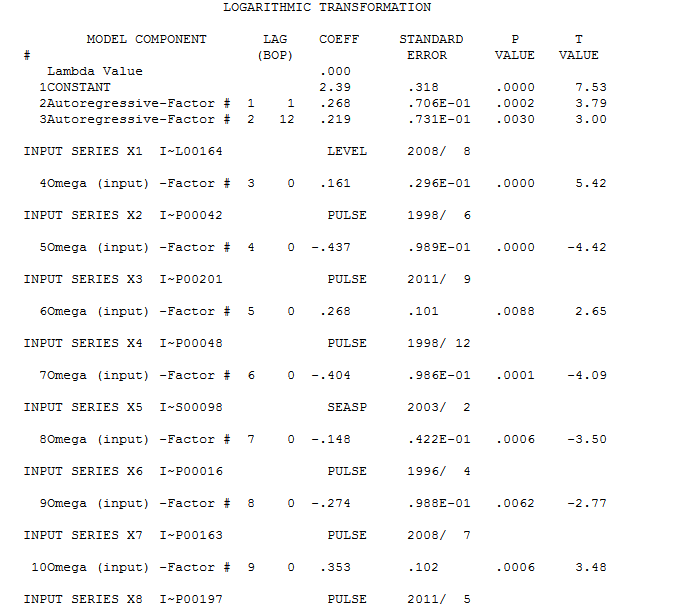 Only acf/pacf plots of residuals was referred to in a couple of places. 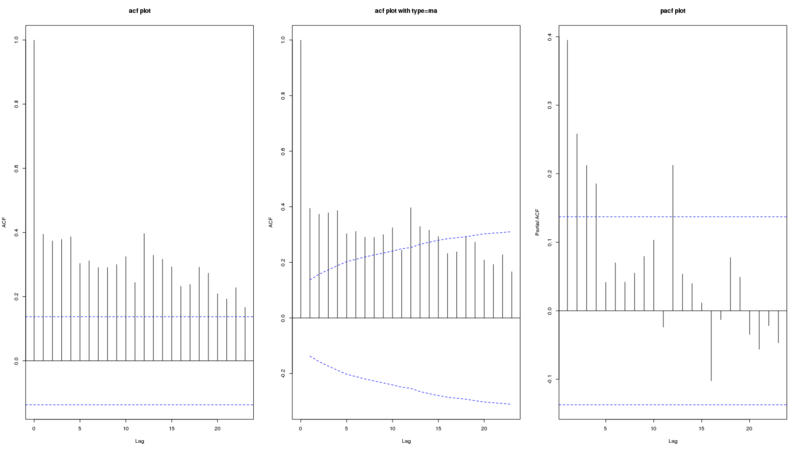 looking at plots in order to try to pigeonhole the data into a guessed arima model works well when 1: There are no outliers/pulses/level shifts, local time trends and no seasonal deterministic pulses in the data AND 2) when the arima model has constant parameters over time AND 3) when the error variance from the arima model has constant variance over time. When do these three things hold .... in most textbook data sets presenting the ease of arima modelling. 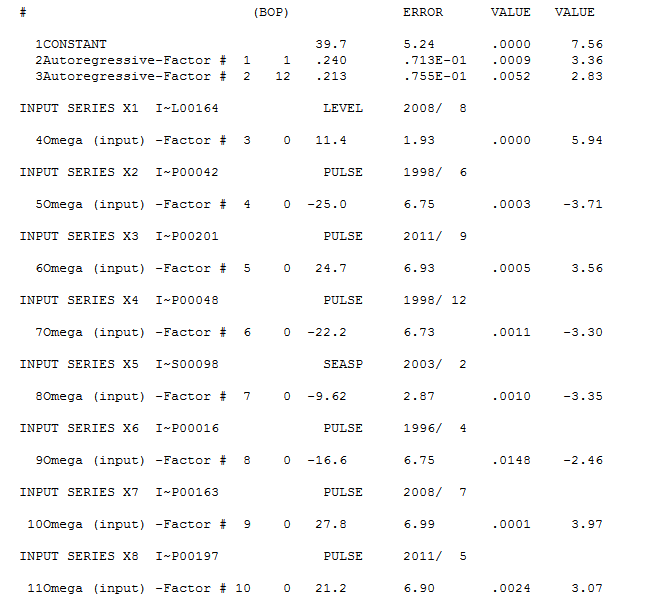 When do 1 or more of the 3 not hold .... in every real world data set that I have ever seen . The simple answer to your question requires access to the original facts ( the historical data ) not the secondary descriptive information in your plots. But this is just my opinion! I was on a Greek vacation (actually doing something other than time series analysis) and was unable to analyse the SUICIDE DATA but in conjunction with this post. 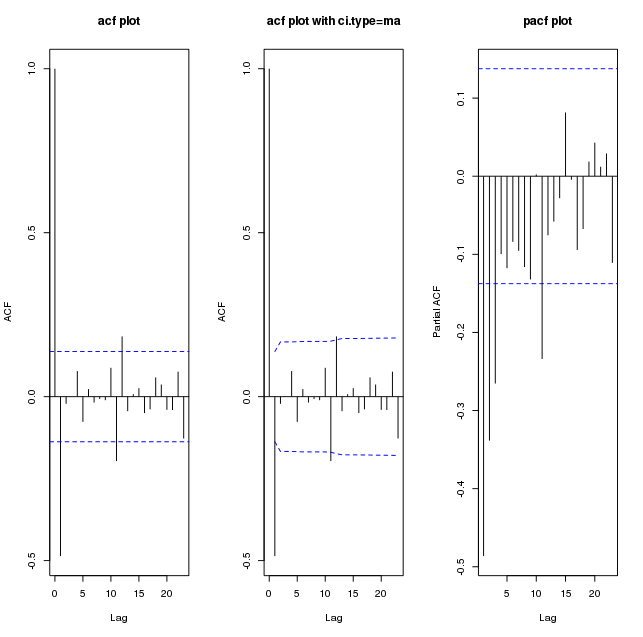 It is now fitting and right that I submit an analysis to follow up/prove by example my comments about multi-stage model identification strategies and the failings of simple visual analysis of simple correlation plots as "the proof is in the pudding". The slow decay of the autocorrelation function suggests the data follow a long-memory process. The duration of shocks is relatively persistent and influence the data several observations ahead. This is probably reflected by a smooth trending pattern in the data. The ACF and PACF of order 12 are beyond the significance confidence bands. However, this does not necessarily mean the presence of an identifiable seasonal pattern. The ACF and PACF of other seasonal orders (24, 36, 48, 60) are within the confidence bands. From the graphic, it is not possible to conclude whether the significance of the ACF and PACF of order 12 is due to seasonality or transitory fluctuations. The persistence of the ACF mentioned before suggests that first differences may be needed to render the data stationary. However, the ACF/PACF of the differenced series look suspicious, negative correlation may have been induced by the differencing filter and may not be actually appropriate. See this post for some details. Spectrum (a view to the ACF in the frequency domain), may reveal the periodicity of cycles that explain most of the variability in the data. 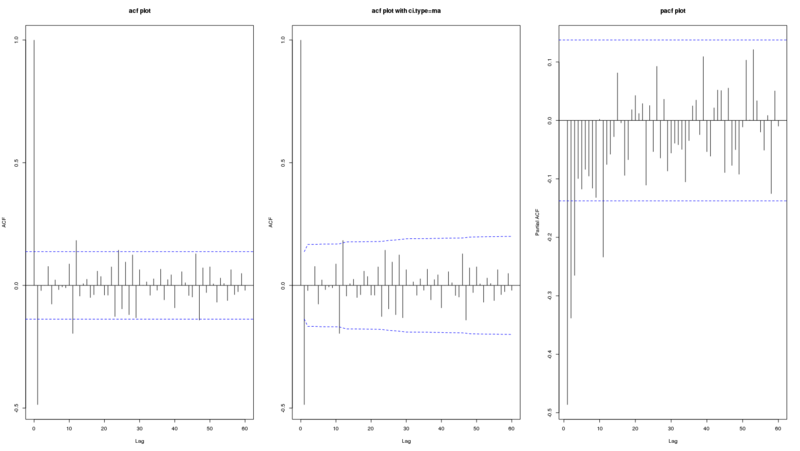 Fit the basic structural time series model and check if the variance of the seasonal component is close to zero relatively to the other parameters (in R function stats::StructTS and package stsm). 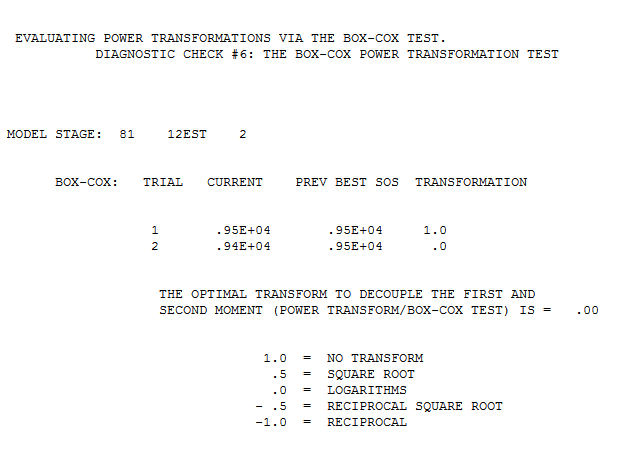 Tests for seasonality, based on seasonal dummies, seasonal cycles or those described and implemented in X-12. Checking for the presence of pulses and level shifts as mentioned by IrishStat is also necessary since they can distort the conclusions from the previous methods (in R the package tsoutliers can be useful to this end). How to read this ACF & PACF plots? 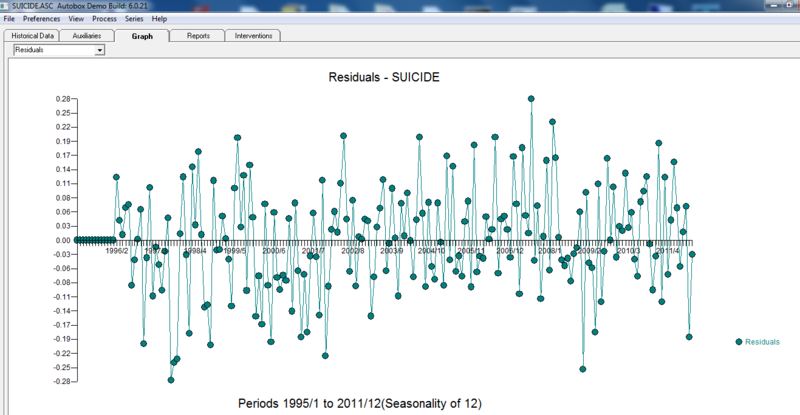 Is this an appropriate method to test for seasonal effects in suicide count data? 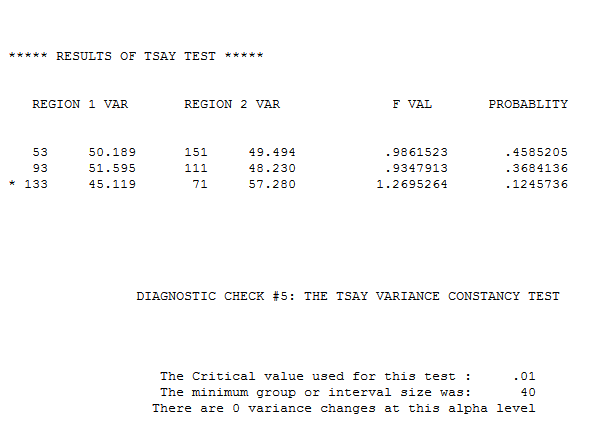 Can someone help me to interpret these autocorrelation plots?